But how many people know how Hitler actually became a dictator? My bet is, very few. I’d also bet that more than a few people would be surprised at how he pulled it off, especially given that after World War I Germany had become a democratic republic. Thus, even though Hitler’s vote total had risen, he still had been decisively rejected by the German people. On June 1, 1932, Hindenberg appointed Franz von Papen as chancellor of Germany, whom Shirer described as an “unexpected and ludicrous figure.” Papen immediately dissolved the Reichstag (the national congress) and called for new elections, the third legislative election in five months. Hitler and his fellow members of the National Socialist (Nazi) Party, who were determined to bring down the republic and establish dictatorial rule in Germany, did everything they could to create chaos in the streets, including initiating political violence and murder. The situation got so bad that martial law was proclaimed in Berlin. The July 31, 1932, election produced a major victory for Hitler’s National Socialist Party. The party won 230 seats in the Reichstag, making it Germany’s largest political party, but it still fell short of a majority in the 608-member body. Political deadlocks in the Reichstag soon brought a new election, this one in November 6, 1932. In that election, the Nazis lost two million votes and 34 seats. Thus, even though the National Socialist Party was still the largest political party, it had clearly lost ground among the voters. This is the beginning of the Communist revolution! We must not wait a minute. We will show no mercy. Every Communist official must be shot, where he is found. Every Communist deputy must this very day be strung up. Government buildings, museums, mansions and essential plants were to be burned down... . Women and children were to be sent in front of terrorist groups.... The burning of the Reichstag was to be the signal for a bloody insurrection and civil war.... It has been ascertained that today was to have seen throughout Germany terrorist acts against individual persons, against private property, and against the life and limb of the peaceful population, and also the beginning of general civil war. Why would Hitler and his associates turn a blind eye to an impending terrorist attack on their national congressional building or actually assist with such a horrific deed? Because they knew what government officials have known throughout history — that during extreme national emergencies, people are most scared and thus much more willing to surrender their liberties in return for “security.” And that’s exactly what happened during the Reichstag terrorist crisis. Two weeks after the Reichstag fire, Hitler requested the Reichstag to temporarily delegate its powers to him so that he could adequately deal with the crisis. Denouncing opponents to his request, Hitler shouted, “Germany will be free, but not through you!” When the vote was taken, the result was 441 for and 84 against, giving Hitler the two-thirds majority he needed to suspend the German constitution. On March 23, 1933, what has gone down in German history as the “Enabling Act” made Hitler dictator of Germany, freed of all legislative and constitutional constraints. Under the Weimar Constitution judges were independent, subject only to the law, protected from arbitrary removal and bound at least in theory by Article 109 to safeguard equality before the law. soon became the most dreaded tribunal in the land. It consisted of two professional judges and five others chosen from among party officials, the S.S. and the armed forces, thus giving the latter a majority vote. There was no appeal from its decisions or sentences and usually its sessions were held in camera. Occasionally, however, for propaganda purposes when relatively light sentences were to be given, the foreign correspondents were invited to attend. The German communist leader was immediately taken into “protective custody,” where he remained until his death during the second war. consisted of three judges, who invariably had to be trusted party members, without a jury. A Nazi prosecutor had the choice of bringing action in such cases before either an ordinary court or the Special Court, and invariably he chose the latter, for obvious reasons. Defense lawyers before this court, as before the Volksgerichtshof, had to be approved by Nazi officials. Sometimes even if they were approved they fared badly. Thus the lawyers who attempted to represent the widow of Dr. Klausener, the Catholic Action leader murdered in the Blood Purge, in her suit for damages against the State were whisked off to Sachsenhausen concentration camp, where they were kept until they formally withdrew the action. Even lenient treatment by the Special Court was no guarantee for the defendant, however, as Pastor Martin Niemoeller discovered when he was acquitted of major political charges and sentenced to time served for minor charges. Leaving the courtroom, Niemoeller was taken into custody by the Gestapo and taken to a concentration camp. Protective custody did not protect a man from possible harm, as it did in more civilized countries. It punished him by putting him behind barbed wire. On August 2, 1934, Hindenburg died, and the title of president was abolished. Hitler’s title became Fuehrer and Reich Chancellor. Not surprisingly, he used the initial four-year “temporary” grant of emergency powers that had been given to him by the Enabling Act to consolidate his omnipotent control over the entire country. Oddly enough, even though his dictatorship very quickly became complete, Hitler returned to the Reichstag every four years to renew the “temporary” delegation of emergency powers that it had given him to deal with the Reichstag-arson crisis. Needless to say, the Reichstag rubber-stamped each of his requests. For their part, the German people quickly accepted the new order of things. Keep in mind that the average non-Jewish German was pretty much unaffected by the new laws and decrees. As long as a German citizen kept his head down, worked hard, took care of his family, sent his children to the public schools and the Hitler Youth organization, and, most important, didn’t involve himself in political dissent against the government, a visit by the Gestapo was very unlikely. The overwhelming majority of Germans did not seem to mind that their personal freedom had been taken away, that so much of culture had been destroyed and replaced with a mindless barbarism, or that their life and work had become regimented to a degree never before experienced even by a people accustomed for generations to a great deal of regimentation.... The Nazi terror in the early years affected the lives of relatively few Germans and a newly arrived observer was somewhat surprised to see that the people of this country did not seem to feel that they were being cowed.... On the contrary, they supported it with genuine enthusiasm. Somehow it imbued them with a new hope and a new confidence and an astonishing faith in the future of their country. What Do We Have to Fear Victoria? Oh what fun this annual event is! You get to dress up and run screaming into the night trying your best to scare away those things that scare you. Death, taxes, poverty, public speaking, what is it that most scares you? I have been facing my fears so I am able to see them clearer now. What scares me most right now is that both Dean Fortin and Rob Reid will comply with the Victoria Chamber of Commerce and hire another 60 police officers for Victoria. We don't have a problem with crime, the stats show that it has been going down in Victoria. We do have another problem and more police can't fix it, because it is not illegal to be homeless or impoverished. We need to spend the $6 million on Housing not Policing. There has been no real increase in the rental stock of Victoria for years and the strain is showing itself both in the high rents of apartments and in the numbers who have given up and ended up on our streets. This election is boiling down to the issues of Affordable housing and assisting our neighbours in need with the establishment of tent cities. My idea for affordable housing is rent-to-own, set up in such a manner as to distribute equity to those who care for their buildings and create positive neighbourhood relationships; co-operatives and non-profit groups play a big role in affordable housing as well. My ideas for tent cities are to follow the lessons learned in Dignity Village Portland Oregon and to help those in need to help themselves to shelter and security. That means setting up two or three small tent communities in and around Victoria complete with running hot and cold water and washroom facilities. The people in the tents can form their own committees to establish the rules and enforce them. The police will still be responsible for ensuring that no laws are broken and can be relieved of the duties of moving people along, a policy that is getting everyone nowhere. Location ideas: Cridge Family center for homeless families, Ellice Street park that has been usurped for housing but nothing has started yet and St. Anne's as it is a provincial property and would help motivate the province into action on these issues. It is time to start getting excited about electing a Green Mayor. I have been doing very well at the debates and have already handed out over 2000 handbills regarding the importance of affordable housing. It is a message that is going over very well as 60-70% of Victorians are trapped in the high rental market. This election is a choice between policing and housing, I support housing make your voice known! This election is ours to win! The plan is to network, network, network, tell all your friends and associates. Come out and help in mainstreeting call me to find out where I will be and join in the fun of chasing away our fears and bringing in a new tomorrow. It is as easy as saying hi to strangers and discovering that they feel the same way as we do about so many important issues. When Studs Terkel was in the seventh grade, his teacher, Miss Henrietta Boone, asked the smart young whippersnapper who he was supporting in the presidential election of 1924. "Are you for Calvin Coolidge or John W. Davis?" Miss Boone inquired, mentioning the names of the Republican and Democratic nominees. 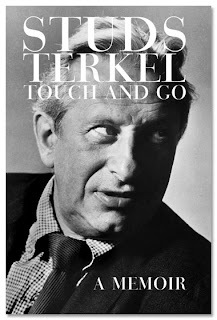 Terkel, who had already imbibed the radicalism of Chicago's labor left, was for neither of the major party candidates. Rather, he favored the third-party contender who was campaigning against imperialism abroad and Wall Street at home. "Innocently -- or was I damnably perverse even then? -- I piped, 'Fightin' Bob La Follette,'" Terkel recalled eight decades later, mentioning the name of the progressive senator from Wisconsin who earned his support that year. "She was startled, poor dear. Why have I always upset such gentle hearts? Why couldn't I have been my cute little button self and said the right thing: 'Keep Cool with Coolidge.'" Studs could be cute, and damnably perverse. But the Pultizer Prize-winning author, pioneering radio personality, battler against Joe McCarthy and McCarthyism, raconteur, rabble-rouser and grand old man of the American left, who died Friday at age 96, never pulled his punches when it came to politics. Early in 2002, as George Bush was scheming to exploit the fear of terrorism in order to steer the United States toward a new career of empire, I wrote an article for The Nation about the lonely dissents of Ohio Congressman Dennis Kucinich. "When I finished reading John Nichols's exhilarating communiqué from California ("Kucinich Rocks the Boat," March 25), the bells began to ring," he wrote for The Nation. "In his speech to the Southern California Americans for Democratic Action, criticizing Bush's conduct of the war on terrorism, Dennis Kucinich set the crowd on its ear -- one standing ovation after another. Sure, they were all liberals, but what counted was the response on the Internet. The Cleveland Congressman's e-mail box was stuffed to overflowing with 20,000-plus enthusiastic letters. Among them was the call: Kucinich for President." "Kucinich is the man to light the fire," Studs declared. "Amen." As it turned out, Kucinich didn't get any closer to the presidency than did La Follette. Studs was disappointed, but undaunted. Politics was never a game for Studs. It was the work of a lifetime. He wrote brilliant books about the lives of working people not merely because their stories were fascinating but because he wanted to get a conversation started about class in America. He wrote about "the good fight" of World War II because he wanted to remind new generations of Americans that this country had once united to battle fascism. And he kept his sense of humor and his optimism, even when those around him despaired. Not long after the invasion of Iraq, when President Bush was still enjoying the ill-gotten high approval ratings of his "Mission Accomplished" moment, Studs explained to me that one of the benefits of his advancing years was his pronounced loss of hearing. "My bad hearing leads me to higher truths," he quipped. "For instance, terms like 'embedded journalist' come through to me as in-bed with journalist. My problem with the media right now is that we've got too many in-bed-with-journalists and not enough of the skeptical, questioning, challenging journalists who will hold George Bush and his boys accountable." For Studs, who had made his name as an incisive radio interviewer, the increasing consolidation of radio station ownership, and the homogenization that went with it, was deeply troubling. But Studs was not only concerned about the sector of media he knew best. "Information, news, ideas -- that's the juice that gets a democracy going. When a few corporations control all the juice, they decide how the democracy works. Or how it won't work. I don't worry that much about people doing the right thing if they have the facts about what their government is up to. But if they don't get the facts, the whole thing falls apart," said the man who had spent most of his life interviewing Americans regarding their work, their ideals, their politics -- and in his last years, their optimism about the prospect of making a better world. As far as Studs was concerned, the run-up to the war in Iraq provided a perfect example of how things fall apart when the media fails to do its job. While TV news anchors pinned on flag pins and conducted fawning interviews with members of the Bush administration, the senior member of the U.S. Senate, West Virginia Democrat Robert Byrd, was virtually ignored as he questioned the rush to war. "Senator Byrd has been fantastic. He's the one guy who said 'bugger off' when Bush came around trying to sell the idea of this war. I think he's the one guy who really stood up for our kids in the military, when he said he did not want them going off and invading a country that was no threat to us," Studs said. "But Byrd got no headlines. You hardly ever saw him on television. I think that if he had, we might not be in this war today. That's an example of what happens when the big media companies just give us the administration's version of the news." Long before others dared do so, the man who immortalized the generation of Americans who fought "the good war" of the 1940s termed the Iraq war "a quagmire for America." "We were the most honored country in the world at the end of World War II," he noted. "Now we're the most loathed country. We need a media that asks: 'What the hell are we doing there?' "
Studs was delighted when, in 2004, a young Chicago state senator with whom he had marched on picket lines, was elected to the U.S. Senate on an anti-war "what-the-hell-are-we-doing-there?" platform. He followed Barack Obama's campaign for the presidency with enthusiasm. The old civil rights campaigner wanted to see an African-American elected president in his lifetime. But he also wanted the Democrat to remember his roots as, dare we say it, a community activist. "Obama can't be a moderate!" Studs said in one of his last interviews. "He's got to remember where he comes from! Obama, he has got to be pushed!" In particular, the man who well recalled the first 100 days of Franklin Roosevelt's presidency wanted to make sure that Obama was pressed to promote a new New Deal. "I'd ask Obama, do you plan to follow up on the program of the New Deal of FDR? I'd tell him, 'Don't fool around on a few issues, such as health care. We've got bigger work to do! Read FDR's second inaugural address!'" he told a Chicago reporter. "The free market has to be regulated. And the New Deal did that and they provided jobs. The government has to. The WPA provided jobs. We have got to get back to that. We need more reg-u-la-tion." The truth is that we need more Studs Terkels. There will never be another quite like him. But as Americans of good will ponder the notion of forging a change we believe in, we would be wise not merely to recall but to emulate the disdain for moderation, the enduring progressive faith and the delighted determination to speak truth to power -- from the days when he was talking up Bob La Follette to the days when he was talking up Barack Obama -- that defined the politics and the life of Studs Terkel. KANDAHAR, AFGHANISTAN -- They mete out justice in their own courts, ban schools and even organize large religious gatherings, like one that drew thousands of people just outside Kandahar city recently. As Canadian Forces continue to fight and die throughout Kandahar province, the Taliban have quietly set up parallel governments only kilo-metres away from the provincial capital, local residents say. Large swaths of the province for which Canada is responsible have fallen under the control of the insurgents, they said, and out of the grasp of a national government villagers consider corrupt and weak. The three farmers, interviewed this weekend by a Canwest News Service translator, painted a fascinating picture of life under the unofficial Taliban administrations. And while they voiced dismay at the continuing conflict and some of the insurgents' policies, they say not everyone is displeased with the situation. A panel of three or four judges in Maiwand district, for instance, has for the past year been issuing prompt rulings on civil and criminal matters, said one man. "The Taliban announced to the villagers that if they face any kind of problems, they should come to the court and they will find a transparent judgment," he said. "They deal with a number of cases: land disputes, family disputes, loan disputes, robbery, killing, fighting... and the people are happy with them." In Zhari, the insurgent court has sentenced 27 people to death, said a resident of that district. Surprisingly, the farmers said the Taliban have issued no edicts against radio and TV or even shaving beards -- all things banned under their government -- though the villagers tend to eschew such behaviour out of fear, anyway. Their accounts raise difficult questions about the progress being made by Canadian troops in almost three years of hard fighting and reconstruction efforts in the province. A Canadian Forces spokesman said he could not comment immediately on the stories. The men spoke of deep frustration at having to choose between insurgents they say are often too harsh, government officials who are crooked and ineffective, and NATO forces who bring them little more than warfare. "If the Taliban knew that I am giving information to you, they would skin me alive, but my heart and mind are full of words," said another Maiwand resident. 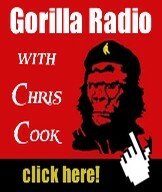 "We see trouble from the Taliban, from NATO and from the Afghan government.... They [Taliban] don't allow schools. We don't have schools and our children don't understand what schools are. We are totally deprived of the rights that a human being should have." All asked that they not be identified, and none would meet directly with a foreign journalist, for fear of repercussions. They said about 70% of the districts of Zhari and Maiwand, both west of Kandahar city, are under Taliban control. It was in Maiwand that insurgents hijacked a passing bus this month and executed as many as 24 of the passengers, claiming they were army recruits. The Taliban, sometimes appearing in "huge" numbers, have separate units of eight to 12 men each in the district, said the first Maiwand farmer. One is responsible for planting improvised explosive devices, one carries out attacks on police and NATO forces directly, one ambushes military supply convoys and another conducts intelligence on locals, reporting anyone working with the government or foreign forces, he said. For the Eid festival marking the end of Ramadan early this month, Taliban invited people to a special prayer in Senjaray, 15 kilometres west of Kandahar city. Thousands came, with the insurgents handling security. "It was amazing, and shameful for the current government," he said. Taliban courts move from place to place, hearing complaints and seeking out witnesses before delivering a decision, which the people tend to heed, said the farmer. The Zhari resident said he is not always happy with the insurgents' brand of justice, though. "Yes, we do like Islamic Sharia law, but not the way the Taliban are doing it right now," he said. "Islam is not strict and harsh, it's a religion of peace and brotherhood." The same man said education is simply not an option in areas controlled by the insurgents. "They are burning the schools, killing the teachers and the students," he said. The Taliban do have willing supporters in these areas, including young people who enjoy the insurgent life because "they have guns, power and money, plus motorbikes," said the second Maiwand farmer. But others "don't like to kill people, they don't want to fight." Still, the residents said that taking their troubles to the notoriously corrupt Afghan National Police or other government agencies simply causes more problems. Even in Kandahar city, more or less under government control, the Taliban have officials who secretly parallel actual positions, from mayor to police chief, said Mohammad Naseem, a local businessman. Yousuf Ahmadi, a Taliban spokesman, confirmed the insurgents have set up such shadow administrations and that it has barred any kind of non-religious teaching in areas under its sway, but blamed NATO for endangering schools with its bombing. "We let boys study in the mosques, we are not against modern education or against schools, but this time is not suitable for schools to be set up or remain open," he said. "We are in the phase of serious fighting." Ultimately, though, the residents said they do not believe in either the Taliban or the Afghan government. "We don't like all these troubles," said the first Maiwand farmer, tears welling in his eyes. "We have the right to have schools for our children, clinics for health, roads for driving, business for income. People think we like this chaotic situation. No, we don't like it at all." The farmer from Zhari said he favours neither the foreigners nor the Taliban. "I would like a new government, a government that brings peace and stability to our country," he said. "I don't expect to get any of that." October 27, 2008 "Information Clearinghouse" -- In 1992, Mark Higson, the Foreign Office official responsible for Iraq, appeared before the Scott inquiry into the scandal of arms sold illegally to Saddam Hussein. He described a "culture of lying" at the heart of British foreign policymaking. I asked him how frequently ministers and officials lied to parliament. "It's systemic," he said. "The draft letters I wrote for various ministers were saying that nothing had changed, the embargo on the sale of arms to Iraq was the same." "The public got as much truth as we could squeeze out, given that we told downright lies." From British involvement with the genocidal Khmer Rouge in Cambodia, to the supply of warplanes to the Indonesian dictator Suharto, knowing he was bombing civilians in East Timor, to the denial of vaccines and other humanitarian aid to the children of Iraq, my experience with the Foreign Office is that Higson was right and remains right. As I write this, the dispossessed people of the Chagos Islands in the Indian Ocean await the decision of the Law Lords, hoping for a repetition of four previous judgments that their brutal expulsion to make way for a US military base was "outrageous", "illegal" and "repugnant". That they must endure yet another appeal is thanks to the Foreign Office – whose legal adviser in 1968, one Anthony Ivall Aust (pronounced "oarst" and since knighted), wrote a secret document headed "Maintaining the fiction". This advised the then Labour government to "argue" the "fiction" that the Chagossians were "only a floating population". Today, the depopulated main island, Diego Garcia, over which the Union Jack flies, serves the "war on terror" as an American interrogation and torture centre. When you bear this in mind, the US presidential race becomes surreal. The beatification of President Barack Obama is already under way; for it is he who "challenges America to rise up [and] summon 'the better angels of our nature'", says Rolling Stone magazine, reminiscent of the mating calls of Guardian writers to the "mystical" Blair. As ever, the Orwell Inversion Test is necessary. Obama claims that his vast campaign wealth comes from small individual donors, yet he has also received funds from some of the most notorious looters on Wall Street. Moreover, the "dove" and "candidate of change" has voted repeatedly to fund George W Bush's rapacious wars, and now demands more war in Afghanistan while he threatens to bomb Pakistan. Dismissing the popular democracies in Latin America as a "vacuum" to be filled by the United States, he has endorsed Colombia's "right to strike terrorists who seek safe havens across its borders". Translated, this means the "right" of the criminal regime in that country to invade its neighbours, notably uppity Venezuela, on Washington's behalf. The British human rights group Justice for Colombia has just published a study concerning Anglo-American backing for the Colombian regime of Álvaro Uribe, which is responsible for more than 90 per cent of all cases of torture. The principal torturers, the "security forces", are trained by the Americans and the British. The Foreign Office replies that it is "improving the human rights record of the military and combating drug trafficking". The study finds not a shred of evidence to support this. Colombian officers with barbaric records, such as those implicated in the murder of a trade union leader, are welcomed to Britain for "seminars". As in many parts of the world, the British role is that of subcontractor to Washington. The bloody "Plan Colombia" was the design of Bill Clinton, the last Democratic president and inspiration for Blair's and Brown's new Labour. Clinton's administration was at least as violent as Bush's – see Unicef's report that 500,000 Iraqi children died as a result of the Anglo-American blockade in the 1990s. The lesson learned is that no presidential candidate, least of all a Democrat awash with money from America's "banksters", as Franklin Roosevelt called them, can or will challenge a militarised system that controls and rewards him. Obama's job is to present a benign, even progressive face that will revive America's democratic pretensions, internationally and domestically, while ensuring nothing of substance changes. Among ordinary Americans desperate for a secure life, his skin colour may help him regain this unjustified "trust", even though it is of a similar hue to that of Colin Powell, who lied to the United Nations for Bush and now endorses Obama. As for the rest of us, is it not time we opened our eyes and exercised our right not to be lied to, yet again? A Calgary author and journalist says most Canadians don’t understand that we’re living in a “petrostate” that could undermine our democracy. Andrew Nikiforuk, author of Tar Sands: Dirty Oil and the Future of a Continent (Greystone Books, $20), told the Georgia Straight in a phone interview that Canada needs a national debate on the topic. “I think the tar sands has created a political emergency for the country,” he said. In his book, Nikiforuk describes the Alberta tar-sands developments as the world’s largest construction project, the world’s largest capital project, and the world’s largest energy project—one that uses as much water in a year as a city with a population of two million. Canada, which has approximately 175 billion barrels of recoverable oil, is the largest supplier of oil to the United States, having surpassed Saudi Arabia. “We have become a petrostate without any of the safeguards that a petrostate should have,” Nikiforuk said. He noted that there is a vast amount of political-science research demonstrating that oil wealth hinders democracy. He said this is true regardless of whether the petrostate is in the Middle East, and whether it’s a large or small country. Nikiforuk pointed out that Canada has ignored recommendations from the International Monetary Fund and the Organisation for Economic Co-operation and Development calling on countries that generate a great deal of oil wealth to put those revenues into a separate fund that cannot be touched by politicians. He said that oil wealth undermines democracy in several ways. Governments enriched by petroleum revenues reduce taxes, which makes the public feel good about politicians who make these decisions. Oil money is also used to buy votes, he alleged. Alberta has the lowest provincial voter turnout in the country. Nikiforuk said governments that remain in power for decades tend to make more appointments based on patronage rather than merit. “So you end up with all kinds of people being appointed to positions they should not be in,” he claimed. According to the Alberta-based Pembina Institute, two tonnes of the bituminous sands, otherwise known as tar sands, and two tonnes of overburden must be excavated to create a single barrel of oil. Nikiforuk writes that producing each barrel generates three times as much greenhouse gas as a barrel of conventional oil because of the work involved. 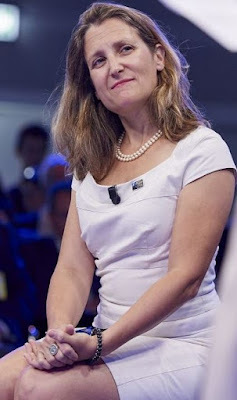 He noted that the tar-sands developments are playing a role in preventing Canada from meeting its climate-change goals. But the impact goes beyond that, affecting cross-Canada labour mobility and causing politicians to amend immigration legislation to allow more temporary foreign workers. “The tar sands has changed Canada in the same way the fur trade has changed Canada,” Nikiforuk said. Andrew Nikiforuk will speak on Sunday (October 26) at 7 p.m. at the Capilano Performing Arts Theatre (2055 Purcell Way, North Vancouver). Tickets are $10/$12.